Every maker has a story. Be a part of High Hat's story by placing an order, leaving a review, and seeing your review appear here. 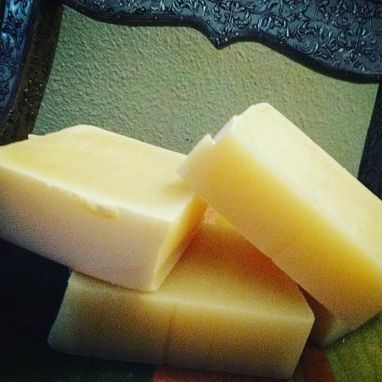 We have an amazing soap recipe that is cleansing, moisturizing, and has a luxurious lather. Pick or dream up a look that you like and let's see if we can make it happen! Oh, wait...you want different oils? Done. You want fragrances that aren't our standard ones? Ask! You want custom labels? We can do that! 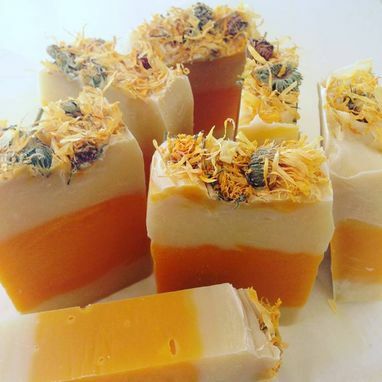 All of our handmade products are made in small batches from high quality ingredients. We use both essential oils and fragrance oils, depending on what's available for a particular scent. 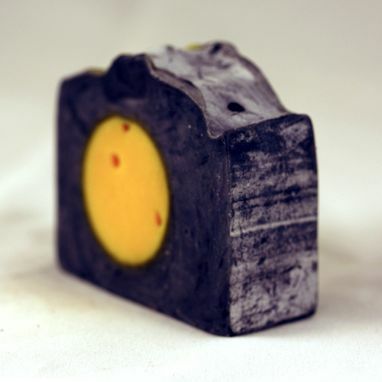 The colors you see are achieved by using natural products like micas, clays, charcoal, various root powders, etc. 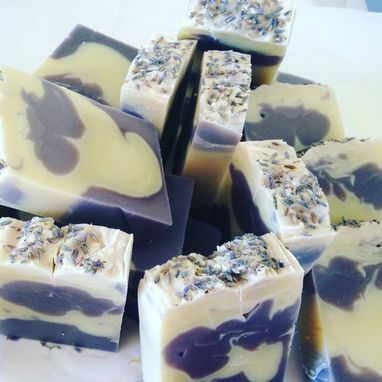 We never use any dyes or animal products. 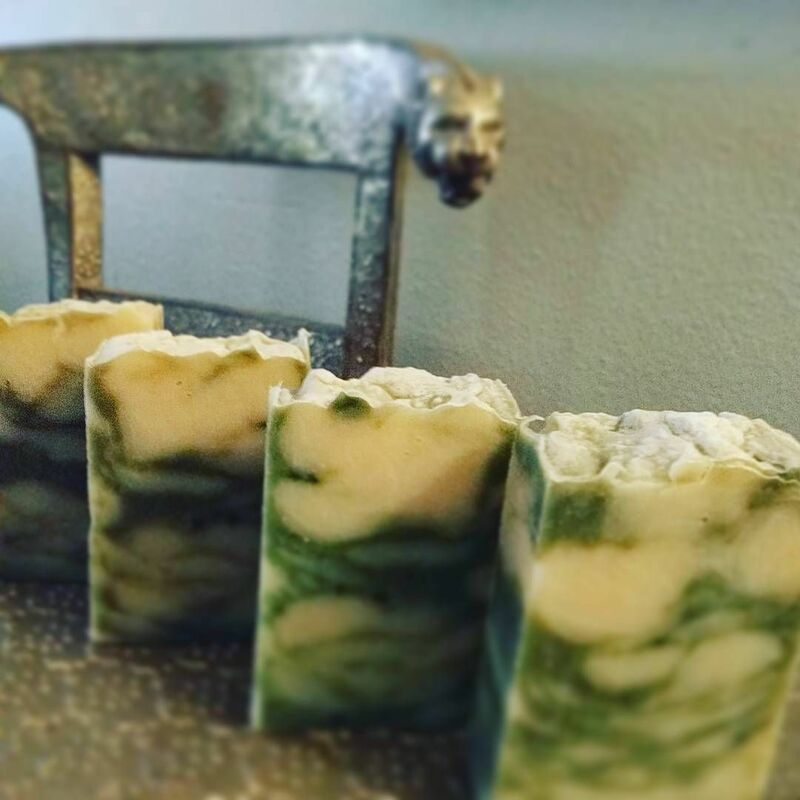 Unlike commercial soaps, our artisanal soaps retain the glycerin naturally produced in the process, which moisturizes your skin and keeps it feeling silky long after you wash.
Our bars are approximately 4.8 oz. (3.75" x 2.5" x 1"). 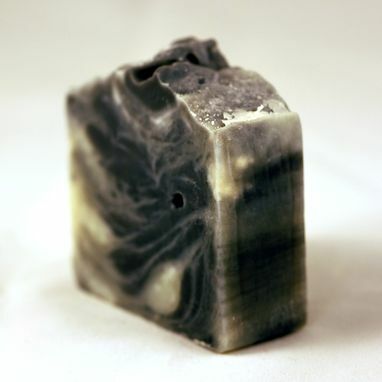 There will be some variation in size and coloration as these are natural products that are made and cut by hand. Each bar is one of a kind. We ship the bars without individual packaging. We're glad to provide labeling upon request, free of charge. Just put it in the comments of your order.